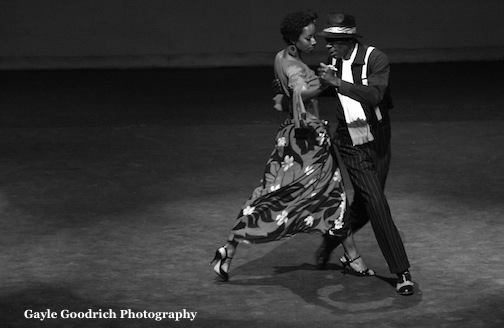 "Argentine Tango" segment from The History of Black Dance in America 2015 Juneteenth Celebration show. The root of the Argentine Tango is Milonga. And, the root of the Milonga is Candombe. Candombe was brought to South America by African slaves. This routine was performed by Kiana Stringfield and Ron Parker. It's music and theme was "La Violetara", The Flower Girl. Choreographed by Ron Parker.